A film portrait of Ornette Coleman (this summer's MELTDOWN selector) by film artist Shirley Clarke. Hilton Als, who will be SFC's guest selector for the forthcoming T&T Film Festival 2009 has written the synopsis. 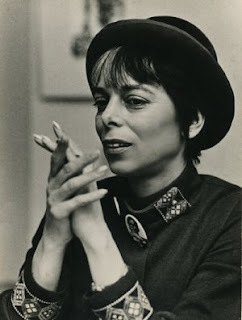 Born in New York in 1919, the film artist Shirley Clarke identified far more with blacks than she did other women. ("I couldn't deal with the whole feminist thing," she said once.) Originally trained as a dancer and choreographer, the privileged Clarke eventually realized she had no real talent in either field, so she switched to film, where she made her mark not only in terms of form--her gritty, improvisatonal realism presaged that of John Cassavettes and Andy Warhol--but content: her most astonishing work, still, is devoted to the social and inner lives of blacks. In 1967, Clarke shot "Portrait of Jason," which remains one of the more exceptional explorations of truth and portraiture that we have. 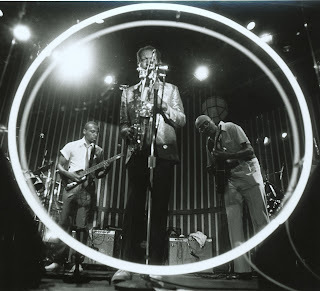 Eighteen years later, in 1985, the director put together "Ornette: Made in America." The movie is as much about Coleman's "science fiction," phase of musicianship--he liked lots of electronic bleeps in his music then--as it is a further examination of the forms and themes that always fascinated her--specifically, how to tell the truth in a lie while addressing our collective fiction of being. Using the great jazz artist's evolution as her primary story, "Ornette: Made in America," is also an attempt to visualize sound. So doing, Clarke's film tells us more about Coleman's artistry than a million pages of analysis. For all its visual and sonic excess, though, Clarke's final film is filled with silence--a silence that leaves Coleman's essential mystery intact.